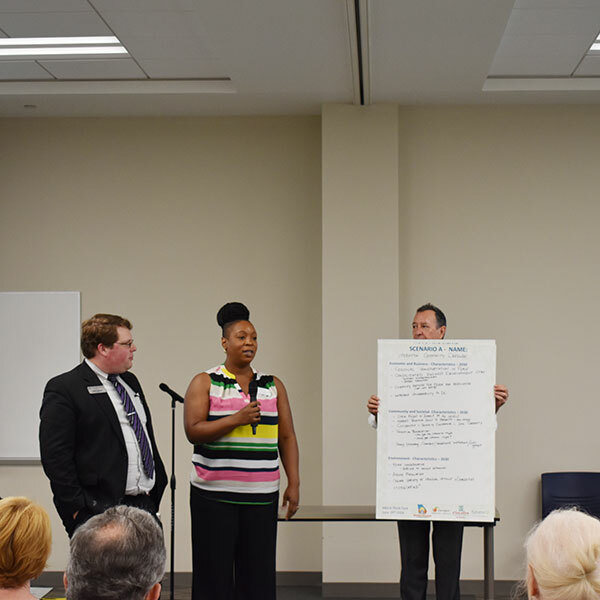 This platform gives access to the data gathered from the Middle Georgia Charrette and Regional Planning Initiative Stakeholder Survey which ran from July to August 2018. The Stakeholder Survey endeavors to understand the perspectives of the stakeholders about key trends shaping the future of the Middle Georgia region. As of September 2018, over 300 people had started the survey. On this survey data visualization portal, you can explore how people view a range of issues and Factors. On the charts, there are filters on the right-hand side. These filters allow you to explore responses by different cohorts within the stakeholder respondents. In some charts, you can hover over data points to reveal specific information. This visualization is intended to allow you to explore the data set and see what stakeholders think about a range of key issues. Please note that each chart is loading a lot of information, so it may take a moment to load when you open a chart. You may navigate the charts by clicking the links below or hovering over “Community Surveys” on the main menu.